A tidy and well-finished path is really pleasant. And thanks to MULTITEX® now it is possible without too much effort. 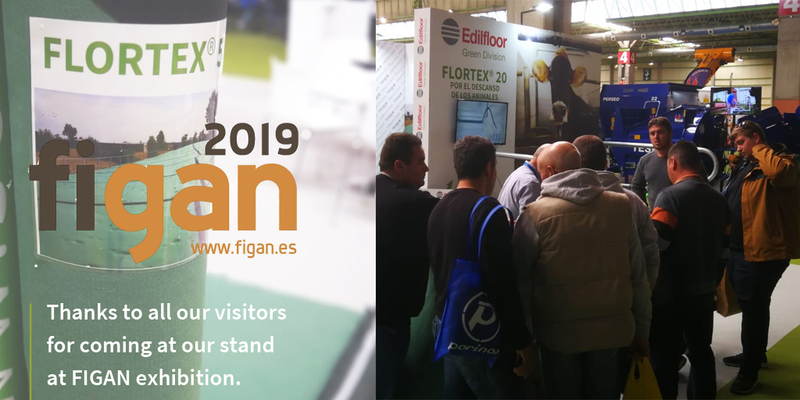 Just place it between the soil, specially flattened, and the material chosen for the flooring to obtain a stable and longterm result, without weeds. In fact MULTITEX enable to control weed avoiding its contamination and the mixture of different materials of different particle sizes, such as soil, gravel or sand, thus ensuring a flawless result. 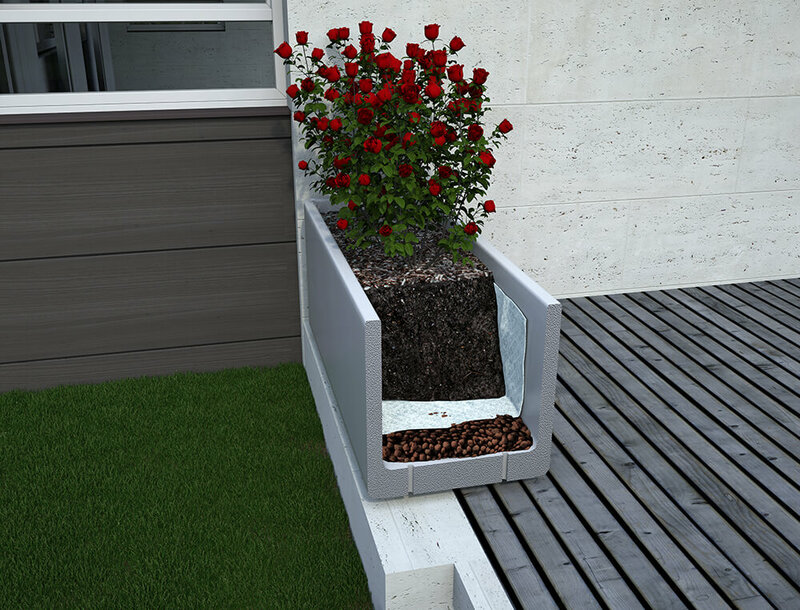 The full functionality of a draining system can be damaged if various types of material, such as soil, mud or leaves, block the draining channel. Thanks to the use of MULTITEX® the functionality of the draining system is preserved for a long time. 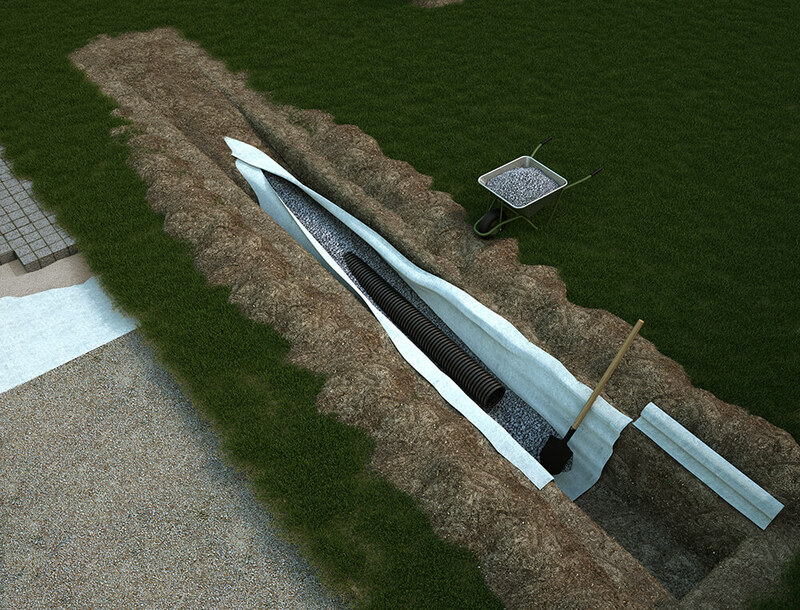 In fact, lying it inside the trench and properly reclosing it after filling with stones or similar, it prevents the soil or other unwanted material to mix with the gritty content, thus enabling the draining system to run smoothly and for an unlimited period, with a evident costs and effort saving. The weed controlling process has several benefits, including the protection of plants from temperature changes, maintaining a right degree of humidity of the soil and the limitation of the weed growth. FLORTEX® 120 is the perfect product for this type of operation. It is a product very light and easy to cut, but very strong in case of tearing. Perfect for protecting plants even with strong winds and intense air currents, FLORTEX® 120 is a product suitable for mulching, as it allows the passage of water and nutrients necessary for plant growth, preventing the growth of infesting weeds. 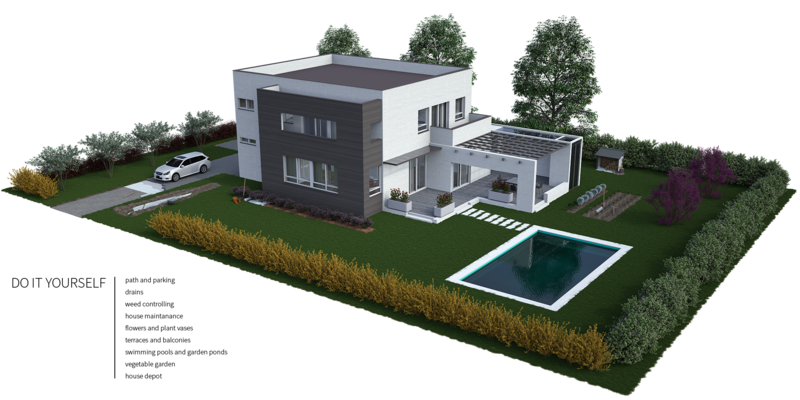 Sometimes it is necessary to perform simple works for house renovation or maintenance. 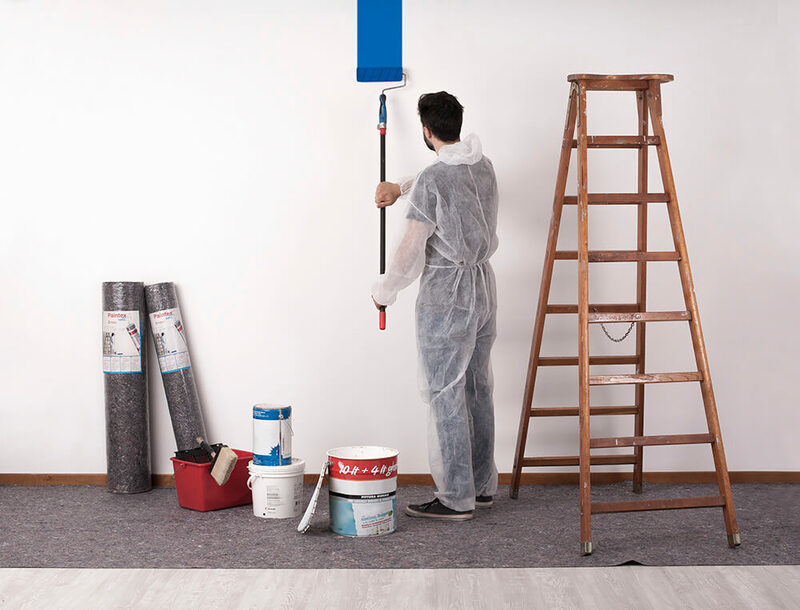 PAINTEX® let you avoid damaging the floor or ruin the existing furniture when painting or doing maintenance in general. The use of PAINTEX® is easy: just unroll it in the needed area or use it for covering the furniture that might otherwise be damaged and you're done. The fall of heavy objects, loss of color, or dusts from will not be a risk the furniture and the floor of your houses. Flowers and plants vases make domestic environment more pleasant. However, for proper growth of the plants it is necessary to ensure the drainage of excess water. 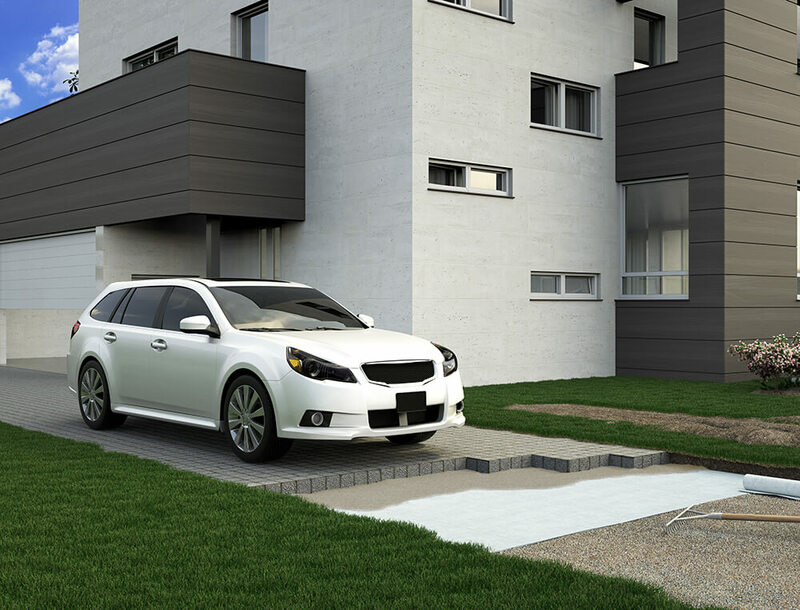 MULTITEX® acts as a separating and filtering layer between the soil and the layer of gravel. In fact, avoinding the mixture of draininig soil with topsoil but at the same time ensuring the passage of water, the draining function of the substrate layer is preserved as well as the moisture of the soil. With the right soil moisture level and the absence of standing water, plants can better grow. 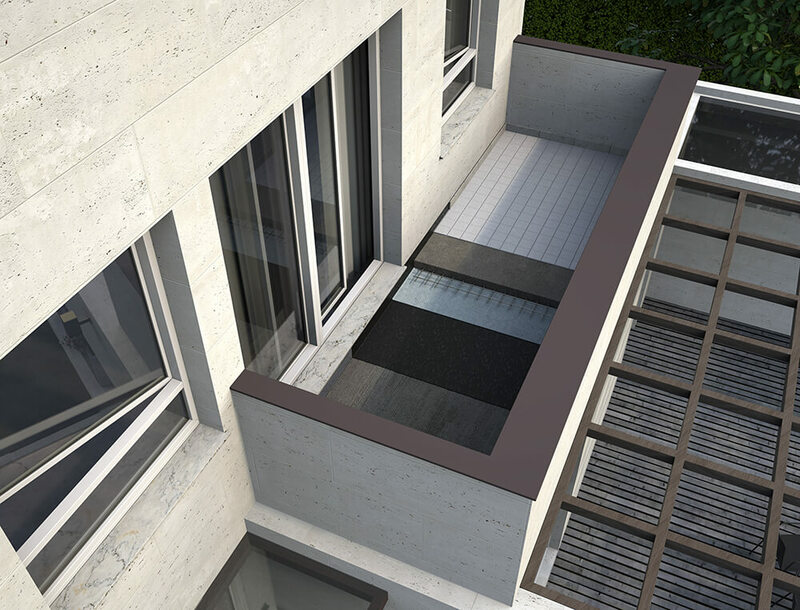 In the realization of terraces and balconies, a good waterproofing is important, to avoid infiltrations that may also damage the lower floors. Often, laying only a waterproofing membrane, bituminous or synthetic, may not be sufficient to prevent the risk of seepage. LAYTEX® and DECKTEX® laying helps to protect the sheath, preventing it from being punctured or damaged, thus ensuring its waterproofing function without incurring in high maintenance or repair costs. 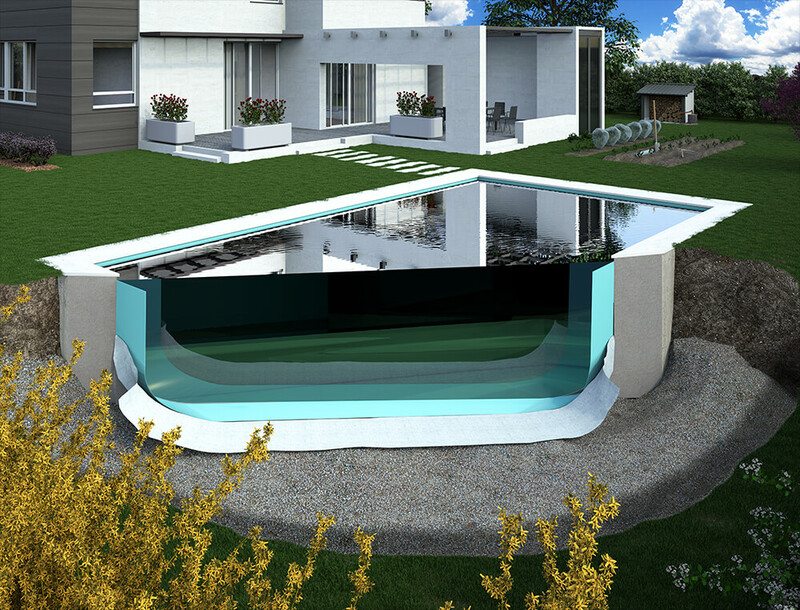 The realization of a swimming pool or an artificial pond allows obtaining a nice result, durable and inexpensive, if well designed. In fact is important to pay attention to protecting the impermeable sheathing, which is usually used for the bottom of a water basin. After preparing the ground freeing it from roots and spikes, the MULTITEX® pose helps to protect the waterproof membrane from puncturing caused by sharp materials. 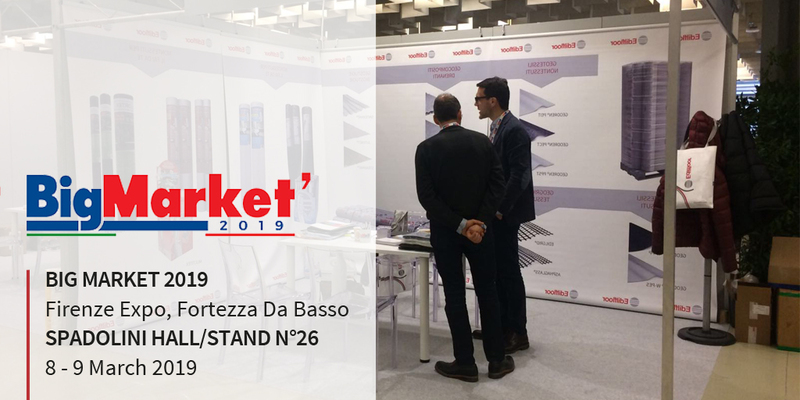 Avoiding tearing or breaking of the waterproof membrane, it is possible to prevent water leaks and costly maintenance, for a final result tidy and decorative. With the arrival of winter season, frost and heavy rains may frustrate the work performed during the summer months and risk plants growth. 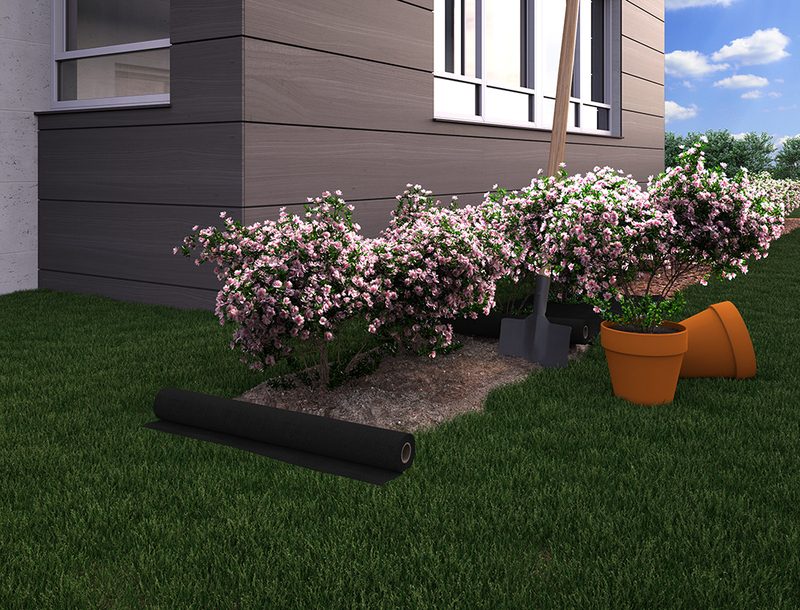 With MULTITEX® you can protect plants both in pots and planted in the ground. In fact, if spread over the vegetable plants or laid as a cap on pot plants, you can protect them not only from frost and sudden temperature falls, but also from birds and other animals that can damage growing plants. 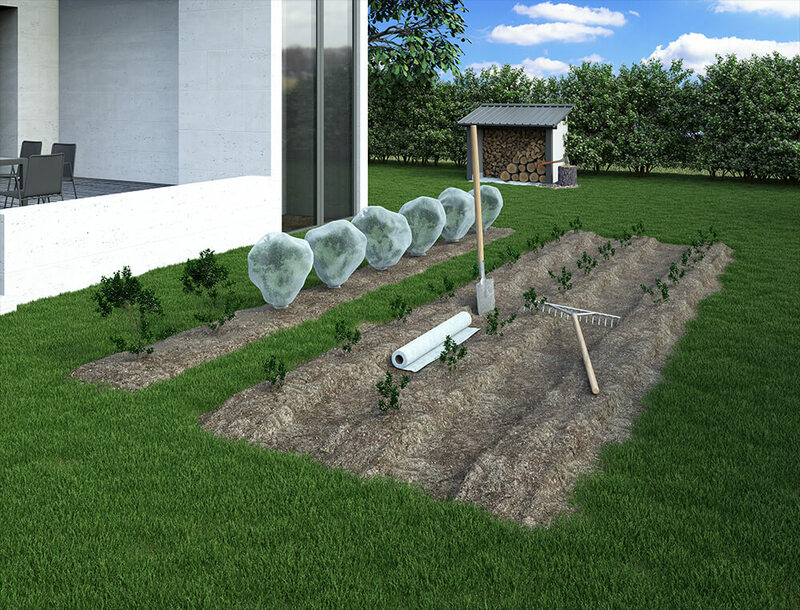 MULTITEX® is ideal for creating a perfect microclimate for plant growth, while ensuring the permeability to water, air, and to all the necessary nutrients, unlike the common plastic sheeting. 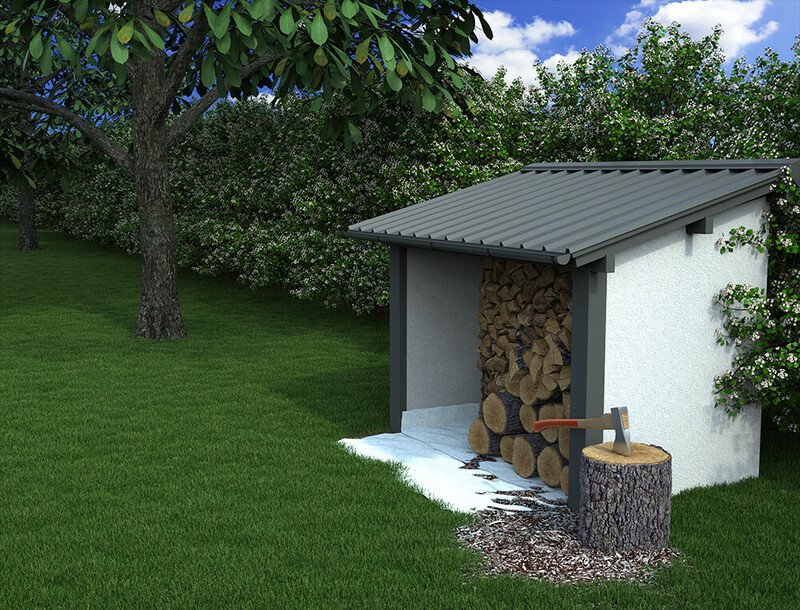 It is often useful to dedicate areas for storaging materials such as wood or pellets. To ensure durable protection of the stored materials, it is important to ensure good ventilation and to prevent moisture and mold. MULTITEX® can be used as a separation layer between the ground and the stored material, while ensuring the filtration of water. In this way, you avoid the timber damaging and it affection by mold. 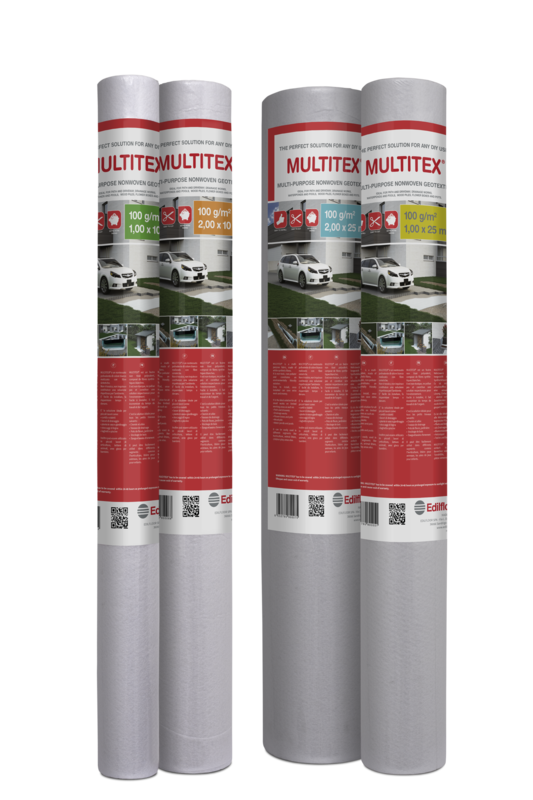 MULTITEX® is the ideal multi-purpose 100 g/m² white nonwoven suitable for gardens, terraces, driveways, horticulture, drainage, protection, DIY and small household tasks. Made of 100% synthetic fibers, MULTITEX® is non-toxic, non-polluting, it can be an environmentally friendly solution. It is a cost-effective solution. MULTITEX® comes in small boxes. Each box contains rolls accurately labeled and packaged. *folded to 1 m height. 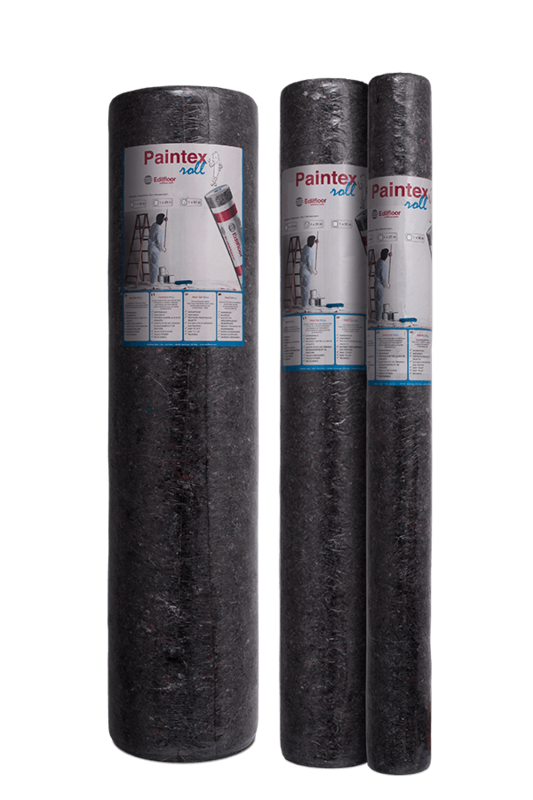 PAINTEX® is a 200 g/m² multicolour nonwoven geotextile coupled with a waterproofing polyethylene film. PAINTEX® is ideal for surface protection during maintenance and painting works. Thanks to its geotextile layer PAINTEX® is able to avoid damages from light falling objects and to absorb liquids such as paints and varnishes. PAINTEX® comes in small boxes. Each box contains rolls accurately labeled and packaged. DECKTEX® is a 60 or 100 g/m² white polyester nonwoven, ideal for reinforcing liquid membranes (bituminous or synthetic) in waterproofing works such as terraces and balconies. LAYTEX® is a 100 g/m² white polypropylene nonwoven, specially designed to be installed in contact with cement base mortars, coatings or repair membranes with pH 7 to 11 (basic). It is non-toxic, non-polluting and an environmental friendly solution. 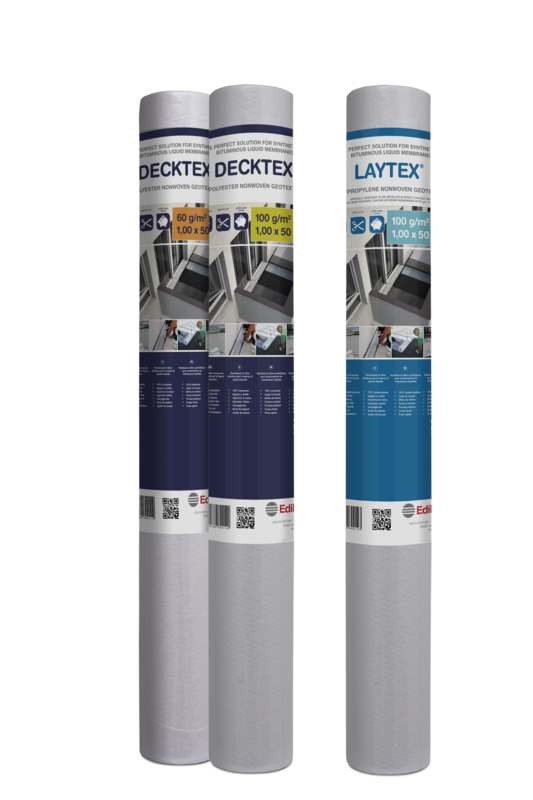 LAYTEX® and DECKTEX® come in small rolls and strips. Each package contains rolls accurately labeled and packaged. Dimensions available start from 12.50 to 100.00 cm height and from 25 to 100 m length. 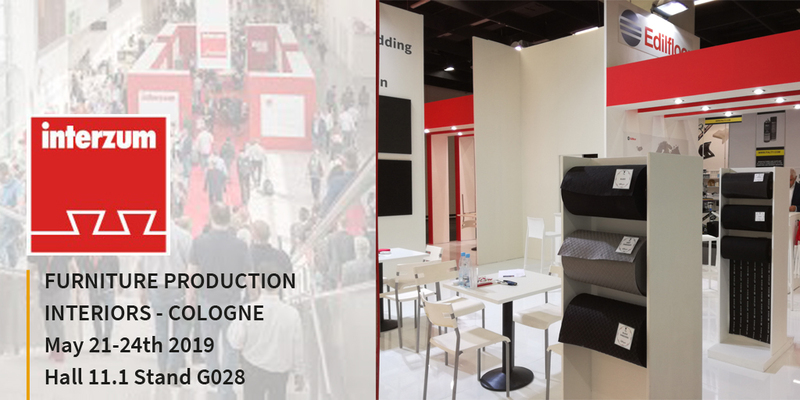 FLORTEX® 120 is a black polypropylene needlepunched and thermobonded nonwoven of 120g/m², produced without using adhesives or chemical binders. It is mainly used for soil mulching and it offers several advantages: allows the free flow of air, water and nutrients to the soil while blocking sunlight and weeds, encouraging root growth for desirable plants by keeping soil moist and cool. FLORTEX® 120 does not absorb water and avoids molds growing. Easy to cut and install, FLORTEX® 120 can provides additional benefits as strength and flexibility. 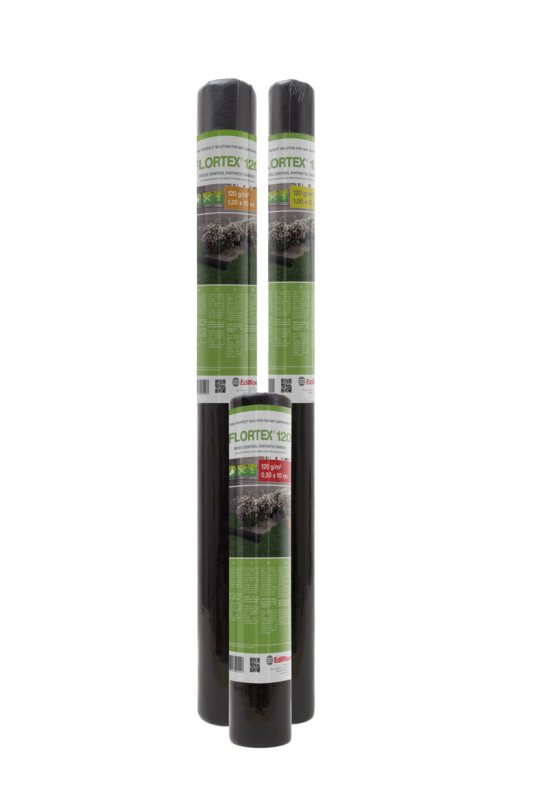 FLORTEX® 120 is compatible with drip irrigation system.